Patients are increasingly seeking tech-savvy healthcare providers but the majority are not budgeting for tools that improve engagement or communication with consumers in 2018, opening the doors for major disruption. 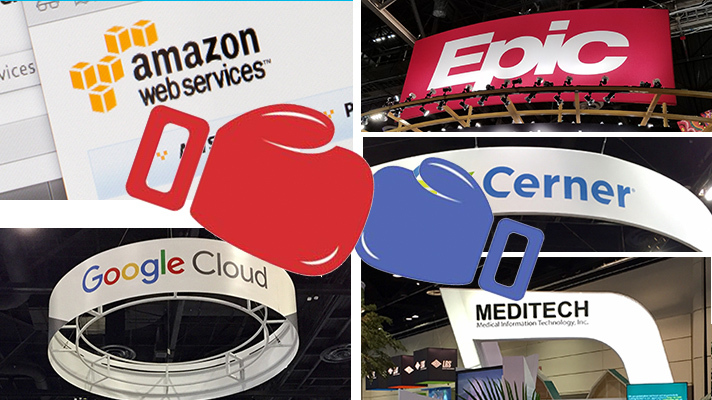 Rival EHR vendors Epic, Cerner and Meditech all rated well when it comes to client satisfaction in a new a new Black Book survey released Friday but the market is poised for a shakeout as Amazon and Google move into the space and consumer satisfaction demands better technologies. "Patients expect and want to interact more with hospitals through digital channels like email, apps and social media rather than interacting on a traditionally personal level with clinical and financial back office staff," Black Book Managing Partner Doug Brown said. Black Book’s survey found that consumers have little patience with the lack of hospital interoperability, incorrect billing and poor or no access to scheduling and results. Among respondents, 89 percent of those under the age of 40 are not happy with the technology hospitals have in place, while 84 percent are seeking the most technologically advanced healthcare providers they can find. Yet, in contrast, 78 percent of hospitals responding to the Black Book survey indicate they have not prioritized or budgeted for improvements in patient engagement, interoperability or patient communications for 2018. Brown noted that 88 percent of surveyed consumers blame the hospital system directly -- not the electronic health record systems or financial technology -- for the lack of patient record portability and access among providers. Among hospitals, Epic, Cerner, Meditech and CPSI earned top scores in a separate Black Book poll. That survey noted that interoperability remains a struggle for many, with 36 percent of surveyed medical record administrators reporting difficulties with exchanging patient health records with other healthcare providers, especially between physicians not using the same EHR. Thirty-six percent of surveyed medical record administrators reported struggling with health data exchange. The percentage is down slightly from two years ago when 41 percent reported problems. All told, the two pieces of research point to an EHR market ripe for disruption. “There will be new entrants into the healthcare technology and EHR space like Google and Amazon, who have little hospital technology-based experience but are bringing new processes and transparency, as well as increased competition,” Brown said.